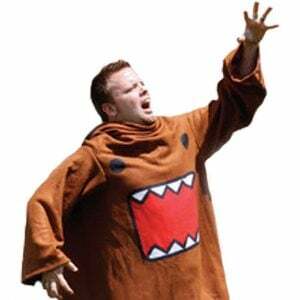 Stay warm while you prance about the house wearing the skin of Domo-kun! 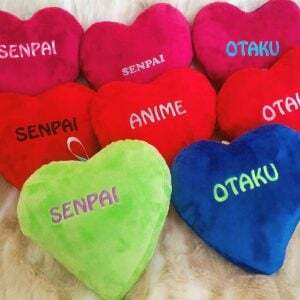 This nice and cozy fleece blanket comes with sleeved arms, making it perfect accessory to wear for lounging about the house and watching TV. RAWR! With these cute slippers you can add an awesome pair of cat paws to your own human closet! These slippers make your feet look like a cat’s, and when you walk, they take turns meowing and purring! Flip them over, and you’ll see the cute pink paw pads on bottom. Your baby will look cute enough to eat once you roll up the little bundle of joy just like a sushi roll. Available in sizes to fit infants up to 24 months old, these adorable and fun outfits are super easy and comfortable to wear everyday! What more could a Hello Kitty fan want from a household appliance? This Hello Kitty robotic vacuum cleaner is able to navigate itself around your home while cleaning dust and dirt. The mop can also be easily detached and cleaned. These cool kaomoji speakers not only can play your favorite tunes, they also double up as a fun desk accessory and iPod holder! Simply connect your iPod and listen to your tunes while you study, work, or relax.